texmex wrote: Btw, entity pitch is a thing in 5.0.0 with minetest.set_rotation so if you want to put entities on tables like in the image below, now you can! texmex wrote: Did you try multiblock? Sounds like the right tool for the job! Chem871 wrote: What about a machine that repairs tools? It would be an alternative to an anvil. Added. 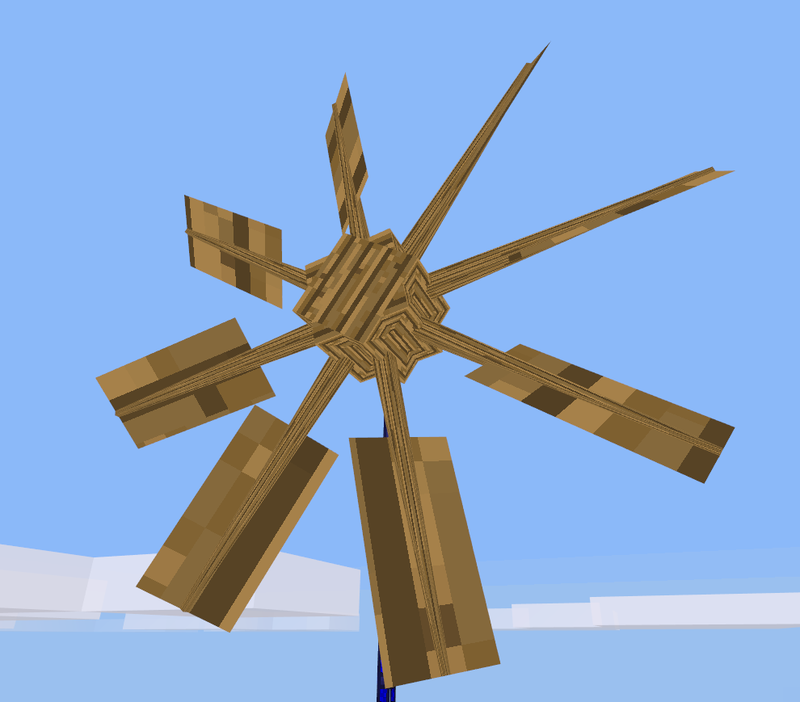 It's called the Energy Density Reconstructor and it's part of the elepower_tools mod. I've been also working a bit on the Thermal Evaporation Plant which will be used to create lithium. Chem871 wrote: What about adding battery nodes to hold a lot of juice, and steam turbines, for realistic, simple power generation? 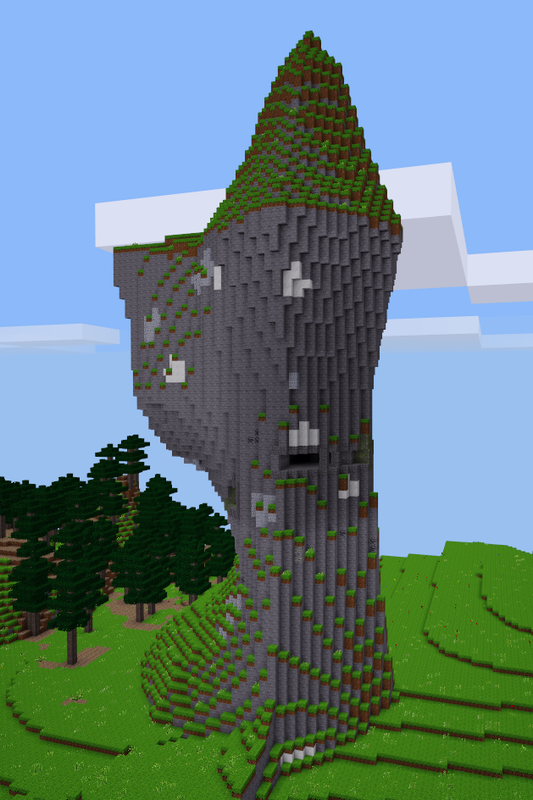 This one looks like a naturally generated wizard's tower. Chem871 wrote: Does damaging radiation exist in this modpack? Also, is the MP still dependent on fluid_lib? No, not yet at least and yes, forever will be. An uncooled fission reactor core will now melt into Corium. Also, I think I finally managed to fix the pump. First alpha release of the year, Alpha 12 has been released on the ContentDB. It includes changes to fission reactors, new machine upgrades, bunch of fixes and more progress on the fusion reactor setup. Various topics on Elepower Wiki have been updated and continue being updated, such as the Fission Reactor setup. NetYard5 wrote: I really love this mod! but I dont get exactly how nuclear generators work :P ... can anyone explain me how to use steam turbine? See the newly updated wiki article. texmex wrote: Will it be possible to change the claim height so that it affects both above and below the claim point? I want towns with claims to all available vertical space (Y -32000 through Y 32000). texmex wrote: Is /town visualize supposed to work yet? yes it works, however the area is only visible from outside due to the way entities work. the visualization will be replaced by particles later. For concerns regarding other protection mods, towny supports and respects areas. Towns cannot be founded in or expanded into areas-protected regions. Don't worry, there will not be any hard dependencies on any other mods.